People who take Prilosec OTC may be at risk for nephritis or chronic kidney disease, both of which can lead to renal (kidney) failure. Though proton pump inhibitors like Prilosec OTC are intended to be taken for only a short time, many people actually use the drugs for extended periods. Recent studies indicate that such prolonged use may increase the likelihood of serious kidney damage. The nationwide law firm of Bernstein Liebhard LLP is now offering free legal reviews to Prilosec OTC users who were diagnosed with serious kidney complications, including renal failure and chronic kidney disease. If you think you or a loved might be eligible to file a Prilosec lawsuit, please call (888) 994-5118 to get in touch with our legal team today. Prilosec, the original prescription proton pump inhibitor, was introduced in 1988. In 2000, Prilosec OTC became available over-the-counter. By 2013, Prilosec OTC ranked as one of the top five over-the-counter medications, with sales reaching nearly $400 million. Prilosec OTC delivers the same medicine at the same dose as 20 mg prescription Prilosec. It is indicated for people with frequent heartburn, defined as heartburn occurring two or more days a week. Prescription Prilosec is also indicated to heal erosive esophagitis (damage to the esophagus caused by stomach acid), and for the treatment of gastric ulcers caused by H. pylori infection. Prilosec, Prilosec OTC and other proton pump inhibitors work by shutting down active pumps in the stomach that produce gastric acid. It’s long been known that heartburn drugs like Prilosec can cause acute kidney damage in people with pre-existing kidney disease. 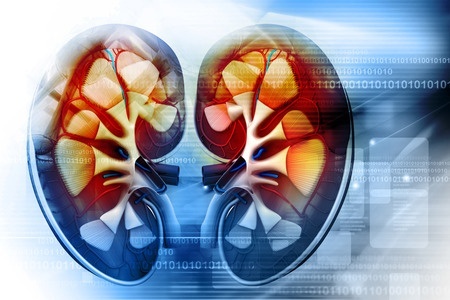 But recent studies suggest that long-term use of the drugs might be associated with kidney failure and chronic kidney disease in previously healthy patients. December 2014: The U.S. Food & Drug Administration (FDA) required the manufacturers of prescription proton pump inhibitors to add new warnings to their drugs’ labels regarding acute interstitial nephritis. This condition results in renal inflammation, and can lead to kidney failure if not treated. Bernstein Liebhard LLP offers free legal reviews to individuals who may have suffered serious kidney damage, including renal failure and chronic kidney disease, due to their use of Prilosec OTC or prescription Prilosec. To schedule your review, please call (888) 994-5118.